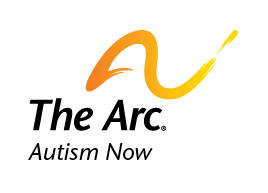 Beginning on February 15th, Autism NOW: The National Autism Resource and Information Center will be hosting a webinar series on transition issues. On February 15th, from 2:00 – 3:00 pm (EST), Scott Michael Robertson from the Autistic Self Advocacy Network (ASAN) will be presenting a webinar entitled, “Transition from Childhood to Adulthood: Perspectives from an Autistic Self-Advocate Researcher”. This webinar will provide an overview of various issues, challenges, and barriers that people on the autism spectrum often encounter when transitioning from post-secondary education. The session will also share practical recommendations and solutions for managing this adversity. Please register for this webinar here. On February 17th, from 5:00 – 6:00 pm (EST), a panel of families will be discussing and presenting their concerns and stories regarding the transition of their children with ASDs from support services into the community. Please register for this webinar discussion here. Date posted: February 14, 2011. Content created by The Autism NOW Center. Last updated: March 21, 2018.